The Port St. Lucie Police Department has issued over 2,700 tickets on the Crosstown Parkway since 2015, and speed is still a deadly problem on this stretch of roadway. Officials say they will add two more officers to the Crosstown Parkway beat this year, bringing staffing to its pre-Great Recession level. “It’s a never-ending challenge,” remarked Traffic Enforcement Sergeant Robert McGhee. “The faster you’re going, the less time you have to react to an emergency. The faster you’re going, the more severe the crash.” Crosstown Parkway is basically an extended freeway off-ramp. Additionally, the stretch between the Florida Turnpike and Interstate 95 has only three stop lights. During one 90-minute period, Sgt. McGhee and two other officers issued fifteen tickets and two warnings on one part of the Crosstown Parkway. Excessive velocity is a factor in about a third of the fatal car crashes in Florida. Speed increases both the risk of a collision and the force in a collision. Speed multiplies stopping distance. The faster a car is travelling, the less time the driver has to react to emergencies. At 30mph, stopping distance is about six car lengths. At 60mph, stopping distance multiples to eighteen car lengths. Other factors may increase stopping distance, which is the ground a car covers between the time the driver sees a hazard and the car comes to a safe stop. Speed also multiplies the force in a collision. Low-speed “fender benders” are high-speed serious injury or fatal collisions. Additionally, when the vehicle stops suddenly, objects in the car, like cell phones, keep travelling at the same speed. Essentially, these small items become high-speed projectiles. Eyewitnesses provide excellent circumstantial evidence of speed. One Supreme Court Justice remarked that something almost mystical occurs when witnesses take the stand and share what they saw. If the witness saw the crash or its immediate aftermath, that’s even better. But even the best eyewitnesses are sometimes mistaken or biased. For example, many people use a vehicle’s sound to estimate its speed, and some cars sound a lot faster than they are. Rest assured that insurance company attorneys will point out these things. Assuming the EDR is working properly, these measurements are never wrong and are unassailable in court. But there are some hurdles. For one thing, it is not easy to get this information. Many EDRs are quite sophisticated. Only an experienced attorney has the necessary equipment to download the data. Additionally, an attorney must normally get a court order to inspect this data. Florida has very strict vehicle privacy laws. Second, the insurance company sometimes “accidentally” destroys the EDR before a lawyer examines it. 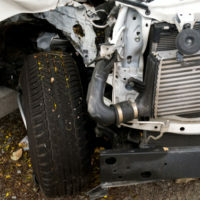 If vehicles are totaled, most insurance companies destroy them after a couple of days. If that happens, the EDR is gone. So, a lawyer usually sends a spoliation letter to the insurance company or custodian. This letter creates a legal duty to preserve all physical evidence in the case, including the EDR. Speed kills. For a free consultation with an experienced personal injury attorney in Port St. Lucie, contact Eighmie Law Firm, P.A. We do not charge upfront legal fees in negligence cases.